Die cutting is a very difficult service to price. You may often wonder how a company prices your particular job and why. It’s a little known secret that most companies aim for a $125+ per/hour turn around on each job. That may seem like a lot but when you consider the operator’s salary, the cost of the hydraulic press, overhead and setup, it works out about right. Here at Mag-Knight, our overhead is very low. Therefore, we can often underbid many large companies by 25%- 40%. We strive for only $85 per hour on our press time and pass on the savings to you. Is it a small or large job? Large jobs require less setup time and improve efficiency. This allows us to pass on the savings. If it is a small job, do you have several dies or just one? Small jobs can cost you less if you have only one or two dies to setup. Handling. Is you product sensitive to scratching or damage or can it quickly be placed in a box without fear of damage? Material. Is your material heavy or awkward to handle? Minimums and Setup Fees….There are none! Most companies will not touch small jobs that take less than one or two hours. 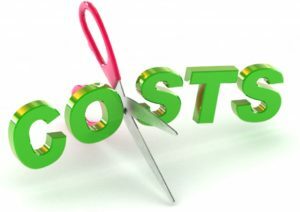 Even if they will, they will charge you a setup fee which can often exceed the actual cost of cutting! We NEVER charge a setup fee. Compare our prices just like the OEM above, you will be astonished!! !